World Voice Day is an annual event that takes place on April 16 to increase public awareness of the importance of the voice. 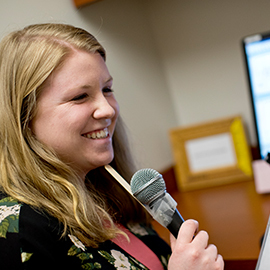 This year’s theme is “Be Kind with Your Voice.” The goals of World Voice Day are to encourage people to learn to take care of their voice as well as to know how to seek help for a voice problem. Through 2020, the Brain Injury Association of America’s campaign is Change Your Mind. 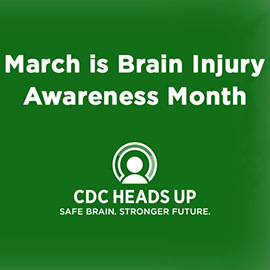 And, since March is National Brain Injury Awareness Month, it’s the perfect time to also educate the community more about brain injuries. Parents watch their children for each milestone to be hit to help guide them to whether or not their child is within “average” range in regards to height, weight, and developmental skills. However, when it comes to speech or communication milestones, the lines can get a little blurry. 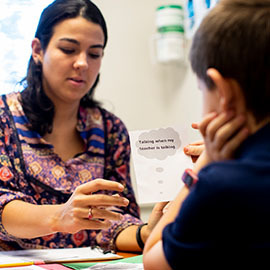 How can someone tell if their child needs to see a speech-language pathologist (SLP)? 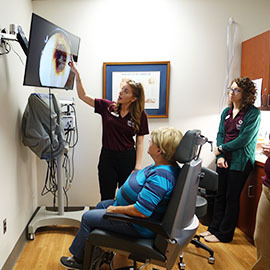 Please join the Pennsylvania Ear Institute (PEI) and the Speech-Language Institute (SLI) for an Open House on Saturday, April 27 from 10:00 a.m. to 12:00 p.m.! 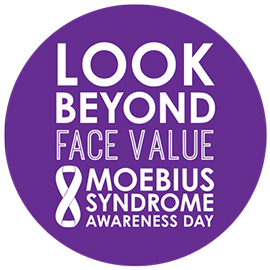 As the birthday of Dr. Paul Julius Moebius, Moebius Syndrome Awareness Day is commemorated annually on January 24th. In 1888, Dr. Moebius was first diagnosed with the rare neurological condition, which affects the muscles controlling facial expressions and eye movements. Although signs and symptoms of this condition are present from birth, weakness or paralysis of facial muscles is one of the most common characteristics.